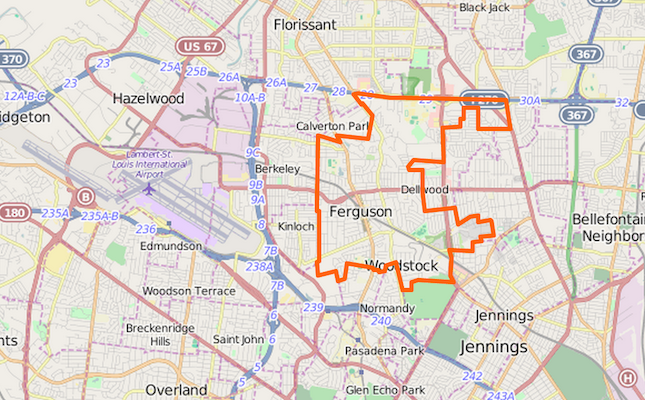 Home » Posts tagged "Ferguson MO"
On the anniversary of Mike Brown’s death, another abusive police crackdown played out. Last year, on August 9th, the death of Mike Brown at the hands of a police officer pushed the chronic abuse of an entire community at the hands of police to the forefront of global news media and kicked off a national movement. Ten days ago, on August 9th 2015, the first anniversary of his death, people began tweeting links to articles and feeds about violence breaking out in Ferguson. I naively thought that people were posting old articles, as a reminder of the trauma that Ferguson residents endured last year in the wake of Mike Brown’s death. It wasn’t until the next morning that I realized that the links being posted were brand new. It’s been a year to the day, yet St. Louis County Police Department still doesn’t seem to want to fix the problem. Over the past year, Whiteness and its privileges have been under the microscope. More and more people of color, especially Black people, are able to document their interactions with Whiteness — from the smallest micro-aggressions to major instances of Police Brutality and abuse. Ferguson in the past week alone has shown examples almost all of these issues. On the night of August 10th, a 19-year-old White girl decided she was going to show solidarity with St. Louis PD as the tension increased at the ongoing Ferguson anniversary protests. The girl is quoted saying that she was there to protect the police, because she would rather have something thrown at her, than to have something thrown at and possibly injure cops. It seems strange that someone would feel that police with guns riot gear would need protection from peaceful protesters. Meanwhile, the same instinct isn’t felt for a 12 year old Black girl detained by St. Louis County PD in Ferguson during protests. When the news spread on Twitter of the girl’s arrest, the STL PD account was quick to respond that the girl had an ID that stated that she was 18 years old, despite the fact that there were eyewitness accounts of the girl stating that she was 12 when asking why exactly she was being detained. Apparently she posed the same threat that Dajerria Becton posed in McKinney, Texas: being young, Black, and female in front of the police. Earlier that same day, prominent activists Netta Elzie and DeRay Mckesson were both arrested, along with many others, during a peaceful protest at the Ferguson courthouse. It wasn’t until the following day, upon release, that other detainees came forward on Twitter with stories of being abused by the police — who ignored their requests not only to know why they were being detained, but also requests for things such as rolling down the windows in hot police vans. This level of neglect harkens back to the death of Freddie Gray in Baltimore, or the death of Sandra Bland in Texas. In both of those instances, the police claimed that the victims hurt themselves, but the negligence shown toward the detainees makes one think that any pre-existing issue anyone might have had could only have become worse in police custody. While Black protesters were detained abusively, an armed group of vigilantes called the Oath Keepers showed up at Tuesday night’s protests weren’t even approached initially by police and the legality of their presence had to be reviewed before the police ever asked them to leave. As usual, the threat of White violence (against Black protesters) was apparently less dangerous than the protesters’ unarmed presence. Virtually all of this — incredibly — played out in front of global news media again, just like the first time around. It’s been a year since the death of Mike Brown at the hands of a Ferguson police officer, and it seems as if the police there has not learned a single lesson. It is still treating unarmed Black citizens as a threat. Its attempts to “control” already peaceful situations only raise tensions higher. With the growing list of Black and Brown people being murdered by police, and with the entirety of the world watching, Ferguson is a reflection of the entire country’s inability to take any substantial move towards valuing and preserving our lives. While the movement that expanded in the aftermath of Mike Brown’s death seems to have started very slightly changing the discussion in the country — by refusing to “let it go” — it is telling that the police in St. Louis County feel they can act with such impunity with the world watching. That means they believe enough people in power or the general public don’t object to their behavior enough to correct it. Or that if they do object, the system will continue to protect them anyway. Sadly, that assumption is probably correct. And with Ferguson being the example of systemic racism on a smaller scale, imagine how that is playing out nationwide, off-camera. In case you missed it last year, you can still stream or download my August 17th radio interview of eyewitness accounts in Ferguson MO from longtime area residents. We talked about: Longstanding tensions with police in Ferguson and the wider St. Louis County, the geography of the Ferguson protests and manifestations of outrage, militarization of American police forces, respectability politics (why dressing and speaking a certain way won’t save Black Americans), personal stories of being harassed by police in the St. Louis area (including Ferguson), raising children under / growing up with an abusive police force, & organizing for future change (from social media to events on the ground). This is one of several interviews and panel shows I did on Ferguson, but it’s the earliest one. When Mike Brown was murdered on August 9th, 2014, something that the US has been trying to hide for decades erupted. In the town of Ferguson MO, years and years of living under oppressive circumstances was brought to a head in the months after the fatal shooting of an 18-year-old teenager who was walking with his friends. There were what seemed like endless and dangerous marches, where protesters bravely stared down armored vehicles and assault rifles, armed with nothing but signs imploring anyone who could read them to recognize the humanity of Black people. All across the country Black people, as well as other People of Color, began to speak louder to get their message across. Despite efforts, it seems as if nothing is changing. In fact things are getting worse, as more and more are being added to the list of hashtagged names of victims of the police’s extrajudicial killings. 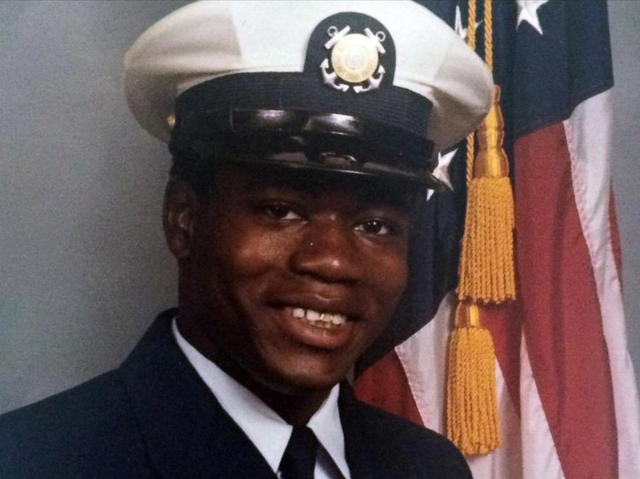 Last Saturday, in North Charleston, South Carolina, a Coast Guard veteran named Walter Scott was killed by a police officer who shot him eight times in the back, but claims to have “feared for his life” — a phrase commonly used in these killings. Someone nearby managed to get a video of the shooting, which shows the police officer not only shooting Walter Scott from a distance, but also apparently planting what people believe is the stun gun that the officer claims Mr. Scott had tried to take from him. Another video was also released this week of a shooting in Miami FL. In this video, the shooting of Lavell Hall is documented. The police state they shot for fear of Mr. Hall attacking them with a broomstick. In a disturbingly familiar turn of events, Hall’s mother had called the police in the first place because he was schizophrenic, and she was hoping they would take him to a mental health facility. In the video, there’s no broomstick seen, and Mr. Hall is running away from the police. In a break from the normal course of events, after Walter Scott’s death — or at least after the subsequent release of the video of his murder — North Charleston’s police department has taken quick action, something that is rare in police-involved shootings where the officer is the shooter. After release of the video on Tuesday, Officer Michael Slager was arrested and charged with the murder of Mr. Scott. Whether or not he will be put in jail for the crime is another story, but it doesn’t seem as if Officer Slager will be able to get much help, as a crowdfunding attempt for him was already rejected by GoFundMe. With more and more people willing and able to pull out cameras and record police brutality, you would think that would mean less frequent incidents of police brutality, but that doesn’t seem to be the case. Many people during the Ferguson protests, as well as at other protests for victims like Eric Garner, had their phones confiscated from them during confrontations with the police. Eric Orta, the man who managed to get film of the police harassing and ultimately killing Eric Garner, was arrested shortly after the video was released. The police solution seems to be suppressing the exposure, not ending the problem. Despite the efforts of so many people, it seems that these murders, arrests, trials and even news coverage of these events are only making baby steps towards progress. Many people, specifically people of color and especially Black people, are left to wonder when will it end. With every passing week and every added name to the long list of those unjustly killed by police, what exactly is needed to convince police departments across the country that there needs to be a sweeping change in the way they handle confrontations? Things like routine traffic stops, as occurred with Walter Scott and so many others, shouldn’t end in the death of unarmed people. Whether their hands are in the air, or they’re running for their life, a Black person’s mere presence shouldn’t be considered life-threatening to an officer with a gun. The narrative around the Civil Rights movement of the ‘50s and ‘60s is very narrow. We’re taught in school that — because of racial inequality — Black people in the South staged peaceful protests to change the world for the better. The specific leaders of the civil rights movement are also treated with the same sterility. This is especially true of Dr. Martin Luther King Jr., whose birthday has just been honored again. Demonstrations are not effective if they happen at the corner of one’s eye. But in order for people to understand exactly how disruptive the Civil Rights movement was, they have to look beyond the few classroom quotes of MLK’s “I Have A Dream” speech they learned in elementary school. They also need to understand that the non-violent protests of the past were deliberate acts of disruption. From late 2014 to present, people have been taking to the streets protesting police brutality and the otherwise unjust murders of Black people across the country. Protesters have shut down freeways and train stations, disrupted brunches, and even managed to close down malls. It’s hard not to look at pictures and videos of these protests and see the similarity between them and the old black and white videos of protests in the past. If you look specifically at the Montgomery Bus Boycott, for example, that was a deliberate attempt to disrupt the status quo fundamentally. It was about far more than just seeking justice for the initial arrests that led up to the boycott, much in the way that today’s protests have become about more than any one victim. 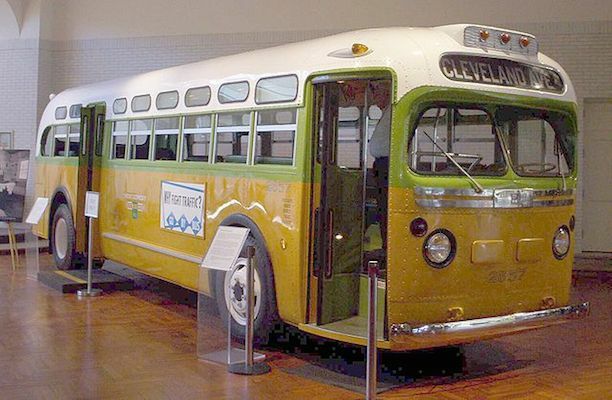 The privately-operated transit system lost money from of the refusal of Black people to use the buses for over a year, over its mandated segregation requirements, because Black people made up 75% of the transit system’s business. Although the act didn’t involve violence, they also weren’t passive. They were purposefully breaking a law by organizing a boycott of a business, which at the time was illegal under state law. Dr. King was actually brought to court for the boycott and was eventually made to pay $1000 in fines and court fees as well as spend 2 weeks in jail. Similarly, in 2014 during the Ferguson demonstrations we saw an attempt by law enforcement to silence protests. Protesters were told they weren’t allowed to stay in place and would have to continue marching or leave the protest area. This was an obvious attempt to dispel the protests by tiring out the people involved. The protesters chose to march daily for more than three months. It was later ruled by a District Court Judge that forcing the protesters to continue moving was a rights violation and could not be enforced. On Monday, January 19th, 2015 in honor of the MLK holiday, protesters decided to #ReclaimMLK. They held marches in several cities, including Ferguson, urging people to continue to speak out. On their website, they made clear demands for what they wanted to accomplish in their protest — and encouraged people to connect and take action in their own cities. Most important of all they were declaring that their demonstrations are just as valid as Civil Rights demonstrations of the past. The Civil Right movement is far from over. As King himself suggested in his own lifetime, it’s a continual process, and despite the progress that has been made, we still have a long way to go. “Now you will notice that the extreme optimist and the extreme pessimist have at least one thing in common: they both agree that we must sit down and do nothing in the area of race relations. The extreme optimist says do nothing because integration is inevitable. The extreme pessimist says do nothing because integration is impossible. But there is a third position, there is another attitude that can be taken, and it is what I would like to call the realistic position. The realist in the area of race relations seeks to reconcile the truths of two opposites while avoiding the extremes of both. So the realist would agree with the optimist that we have come a long, long way. But, he would go on to balance that by agreeing with the pessimist that we have a long, long way to go. And it is this basic theme that I would like to set forth this evening. We have come a long, long way but we have a long, long way to go.” — Martin Luther King Jr. It shouldn’t need to be said that Black lives matter. If, in the US, all men (and women) are created equal, then it should be a given that Black people’s lives hold just as much value as any other life in this country. However, it seems that with each passing week it’s becoming more and more evident to the public eye that this isn’t the case. With the murder of Mike Brown – and the subsequent actions by police after – many in Ferguson, Missouri were fed up and decided to take action. Soon after, other cities joined in protest, adding the names of those who had been killed in each location to a long list of Black and Brown people who’d been killed in recent months and years, including Eric Garner’s. All of them by the police who are supposed to serve and protect them. The NYPD even went on an unofficial protest after they were upset to hear that Mayor Bill de Blasio advised his son (who is Black/biracial) to be careful in his interactions with the police. They say de Blasio teaching his son this fuels distrust in the police and could endanger their lives — and that it indirectly leads to incidents like the shooting of the two NYPD officers that happened in December. In protest, they stopped making minor arrests, and began instead to make arrests or issue summonses only when absolutely necessary, meaning things like parking violations won’t result in confrontations with police. It also potentially means no Stop-And-Frisk, which Mayor de Blasio hadn’t ended completely, despite that being a central campaign promise. It seems odd (read: racist) that the idea of valuing Black life is automatically thought of as devaluing the lives of police officers. It seems odder still that while police counter the main protests with the contention that “Blue Lives Matter,” they ignore the fact that many Black police officers – who should also count as “Blue” lives – often feel the brunt of racial profiling done by their own co-workers. In an additional irony, in their counter-protest, the NYPD seems to have forgotten that Eric Garner’s death resulted from an unnecessary arrest for a minor purported violation. Garner was approached by the NYPD for allegedly selling loose cigarettes, which certainly didn’t warrant the use of force in the attempted arrest. So perhaps this unofficial protest has done more good than the harm they expected. Either way, when people say “Black Lives Matter” what they mean is Black lives matter. They don’t mean that anyone else’s lives matter less. Hopefully soon police forces across the country will realize this too. Police Chiefs in at least two cities seem to recognize the meaning behind these protests. In Nashville, Police Chief Steve Anderson responded to a message left on the police departments website challenging the commenter’s idea of what constitutes a the city being safe, and expressing respect for the rights of the protesters in Nashville. In Pittsburgh, Police Chief Cameron McLay showed his support for protesters with a sign pledging to “challenge racism at work.” Both are White. In the latter case, the response to this chief’s display of solidarity with the community has gotten negative attention from the president of the police union in Pittsburgh who says the chief’s stance makes the police force look “corrupt and racist.” Chief McLay stood by the message on the sign. Whether they realize it or not, some police seem to have stumbled onto the solution to their constant and fatal confrontations with Black people. When people are treated as people and not criminals, crime rates don’t increase, even as the people are policed less. When protesters are treated with respect, there is less likely to be a violent confrontation between them and the police. When Black lives are given the value they deserve, the relationship between them and the police improves. Outrage will never create perfect justice, because nothing will create perfect justice. It has undoubtedly been and is still used for trivialities, and not infrequently for evil. But the difficult truth of democracy is that without the logic of outrage, it’s hard to strive for a better world. It’s also a bit frustrating to watch people try to curb or dismiss outrage that comes from a very real place and life experience. What if there aren’t two sides to be heard? (Or at least not two legitimate sides.) What if it’s actually valid to have and express strong emotions? What if being calm, cool, and collected is actually the inappropriate response? The cool cucumbers don’t seem to consider those possibilities. Which isn’t to say everyone should be outraged, or has reason to be outraged, or should be outraged all the time. But it is to say that it has its place and isn’t automatically unjustified. It also doesn’t make someone automatically less intelligent or less qualified to speak. The content of people’s complaints is probably far more important than the tone. The tagline for Arsenal For Democracy is “a new generation in democratic leadership.” Not the “next” generation, which would imply leadership later, but the “new” generation — the one that is already here. I’ve been rattling the bars of the cage here and there for the past four years, as I’ve gotten increasingly tired of being told by grindingly-slow-moving (and often unrepresentative) “movement” leaders to “wait your turn” and the like, while they continually pre-compromise and reach for nowhere close to the stars. Unsurprisingly, I’m 100% on board for my fellow young people taking charge of a political movement the way we’ve seen young people seizing the reins of the new wave of civil rights action after Ferguson — even if they have to physically grab the microphone from people who refuse to accept that their own time (and credibility) to lead has passed. I stand behind young leaders — people like Johnetta Elzie and DeRay Mckesson and so many others — in these efforts, on a range of issues. We need to stop saying “Why can’t you ever be happy with what we’ve achieved?” and listen when people say “I can’t accept partial-progress.” Not because they’re picky or overly demanding but because their lives depend on not accepting half-measures that still leave them in danger. Compromise has its place but it’s not the end goal. And it’s ok to point out what else needs to be fixed. How else would more get done? Not everyone who is unhappy with past compromises and past steps forward is a mean complainer. Most are just ambitious for more.